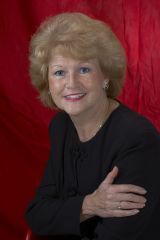 Joyce K. Whitworth : Preferred Financial Strategies, Inc.
As a registered assistant, Joyce brings years of experience to the position of client relationship manager. She is always on top of the many different aspects of orders, compliance, tracking processes and public relations. From your feedback, we know our clients love Joyce!